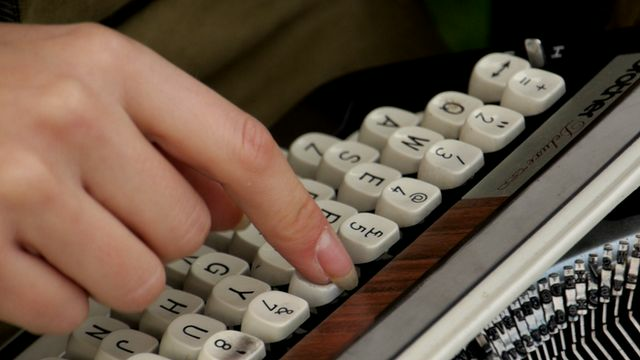 In a world of computers and smartphones, the humble typewriter seems long-forgotten as a means to communicate. But one woman has found a continuing use for the machines and it has nothing to do with writing words. Keira Rathbone uses the letters, numbers and symbols to create art - from tiny stick figures to huge multi-page montages. She says she began the technique after sitting at a typewriter with a desire to type, but nothing to say.